How do you get started in UX? When it comes to getting your first UX job, there is no one-size-fits-all answer. As someone who transitioned into UX from a non-design career, I share a unique perspective on quick, actionable things beginners can do to land their first job in this amazing industry. Click the button below to get a custom strategy on getting your first UX job. 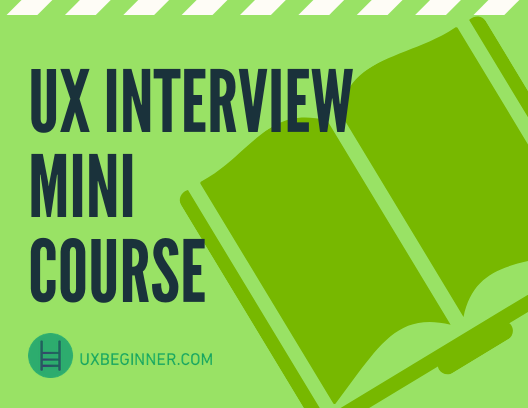 Learn how to get your first UX job. Want to keep a pulse on the industry as a UX careerist? About once a week, I send out an email that contains the latest UX article, my favorite reads from the past week, and even send out freebies and templates. Missed an email? The archives are reproduced here: Tuesday UX Training. Tip: The best way to keep getting UX career advice is to move UXBeginner.com to your "Primary" inbox, especially if you're using Gmail. Make sure to “whitelist” or “safelist” my email address – [email protected] – or your email service might treat them as spam before you even get to read them. How can I write for UX Beginner? UX Beginner has a Medium publication called UX School which features articles and UX training from designers, by designers. If you’re a writer on Medium, read the submission guidelines to submit your article to the UX School publication. First, read the submission guidelines to understand the submission process on Medium (it can be a little tricky). When you’re ready use this form to submit your article for review. Easy peasy! The best way to learn is to teach, and the easiest path to teaching is to write about your learnings. UX School accepts writings from designers around the world from all sorts of backgrounds, who have the opportunity to get their design writing read by more people. Designers who submit articles often get extra exposure for their work through reposting on the UXBeginner blog and email list. How can I connect with the broader UX community? Sharing interesting UX articles and announcements. Connect with other UX Designers. Share experiences & resources. Tip: Read Group Rules. Only considering new members who answer the 3 questions when requesting to join. Get feedback on designs, surveys and user polls. Less strict guidelines than the main UX Design Community, this FB group encourages helping each other with design feedback. How does this blog sustain itself? 99% of the content I create is free. For ambitious UX students, I have two types of paid offerings: self-paced UX courses, and 1-on-1 UX career coaching. I have a number of courses that help designers advance in their UX careers. Individual courses like The Ultimate UX Portfolio Course or Master the UX Interview are available for purchase, or save big with the UX School bundle. I help designers get unstuck with career pain points like job interviews and creating a compelling case study. With a coach, you get built-in accountability that helps you translate information into action. Here’s a link to my UX Career Coaching services. Tell me a little bit about yourself, so I can better serve you. What best describes your UX background? UX Student: I’ve started learning UX through books, blogs and intro courses. Master the most important UX design skills, even if you've never taken a design class. 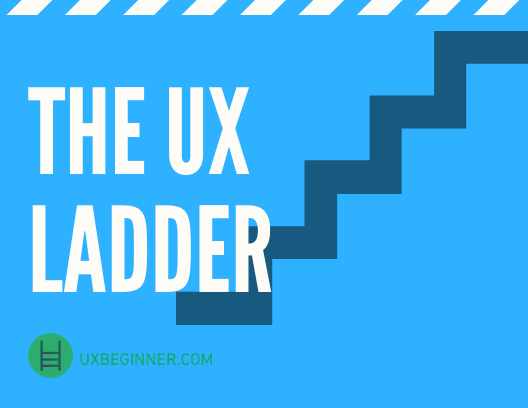 Based on your current goals, I’ve put together The UX Ladder, a framework that shortcuts the process of learning UX skills. How to rock UX job interviews, even if you've never interviewed a day in your life. Based on everything you’ve told me about your situation, I’ve put together a mini course on the 5 things you must do to succeed in UX job interviews and increase your chances of receiving a job offer. 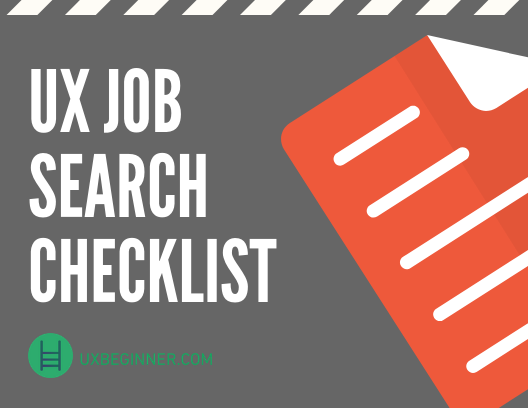 How to conduct a successful UX job search from start to end. (Even if you're just starting out or lack “real” design experience). Based on everything you’ve told me about your situation, I’ve put together the one thing you need to do to look for and apply to UX jobs. Yes, Give Me Instant Access Now! Build a UX portfolio the right way the first time around. 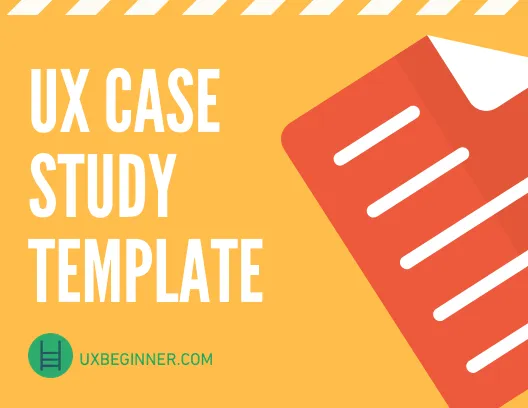 Based on everything you’ve told me about your situation, I’ve put together the ONE resource that jumpstarts your UX portfolio process by helping you write awesome case studies. Based on everything you’ve told me about your situation, I’ve put together the #1 resource to help you develop the type of job experience employers look for. 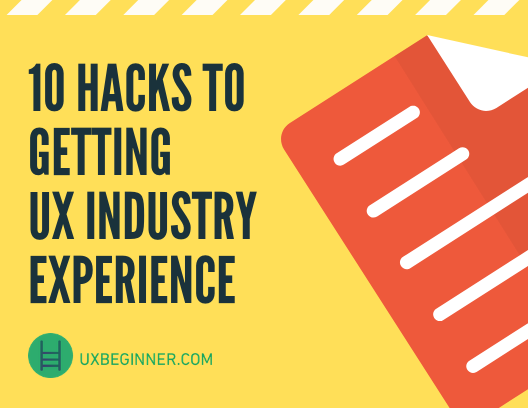 When it comes to getting your first UX job, what’s your biggest challenge right now?